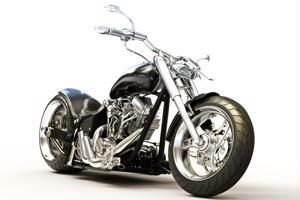 In regard to the procurement process and marketing analysis, it's interesting to scrutinize an unexpected move made by United States motorcycle manufacturer Harley-Davidson. What happens when a company digresses from its traditional strategy? How will life-long customers respond to this product? How will the business's materials acquisition protocol change? Can the enterprise manufacture a machine with the same power and ruggedness as its traditional models? Will consumers expect this? The interesting thing is whether or not Harley-Davidson enthusiasts will take to the new model. When an enterprise considers manufacturing a new product - one that strays away from its signature offerings - it's not uncommon for it to hire a market research analyst to deduce whether or not a return on investment will be realized. The Verge referenced a showcase Harley hosted just outside of its Lower Manhattan store in June, giving riders the chance to try out LiveWire for themselves. George Pelaez, a member of the Harley Owners Group's New York City chapter, regarded the technology as "unbelievable." As opposed to worrying about the bike's specifications, Richer asserted that the initiative was geared more toward finding out who the vehicle should be marketed to. One of the biggest challenges is recreating the powerful, rebellious attitude characteristic of Harley-Davidson's V-twin engines, especially as the LiveWire is incredibly quiet. Marketing analysis aside, it's a wonder how the manufacturer plans on obtaining components that can take the vehicle out of metropolitan areas and into the open road. Although a new development, Power Japan Plus's Ryden battery may be the key to making the LiveWire a success. CNet reported that Power Japan Plus constructed a carbon-based battery that provides the same power density offered by contemporary lithium-ion batteries, but can be charged at a much faster rate. The materials and production costs involved with producing a vehicle such as LiveWire is one thing, but marketing it under the Harley-Davidson brand name is certainly a challenge.